Who else was worried about Mary’s chat with the British Men of Letters on Supernatural Season 12 Episode 9? 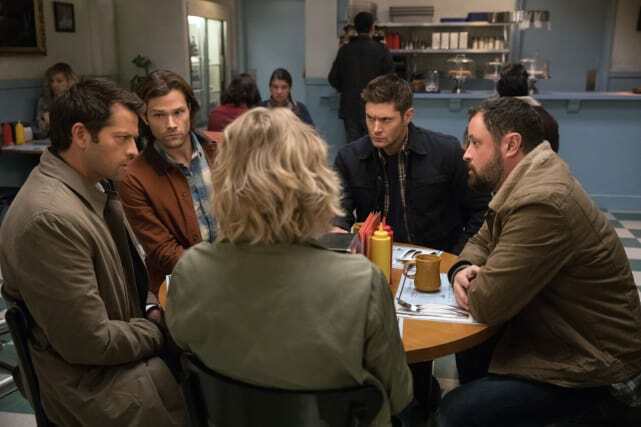 It looks like from these Supernatural Season 12 Episode 12 photos that Sam and Dean’s mom is on another hunt, but is her new partner a part of the British group? Either way, it appears that Sam, Dean and Castiel are helping out. And there’s a crowded diner scene probably filled with some good humor. 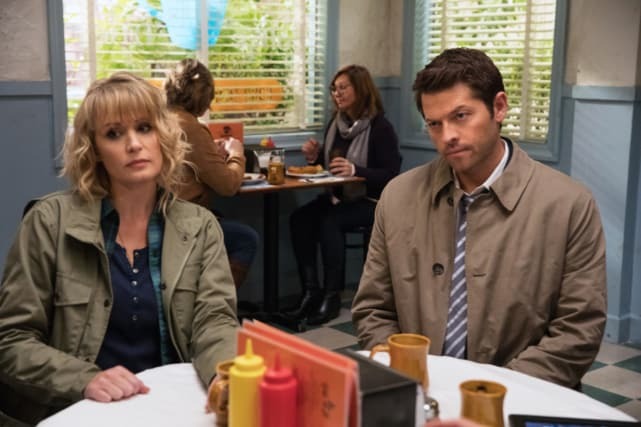 Castiel looks unimpressed, like he can’t believe the meals that everyone else is getting to eat. Meanwhile, Mary doesn’t look as concerned. Maybe she’s sad? Sad she doesn’t have something to eat? 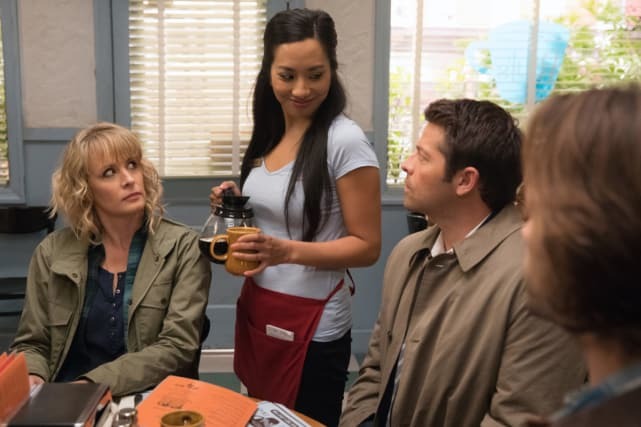 The waitress looks like she’s interested in Castiel. Maybe he gets an extra cup of coffee and her phone number? 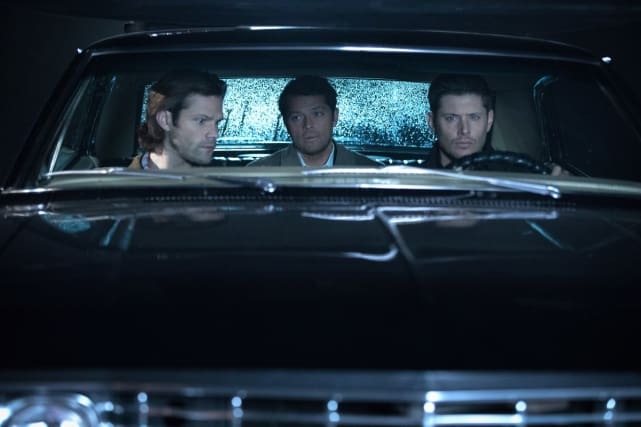 The Winchester brothers and their angel friend on a hunt. 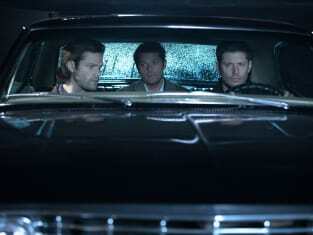 Obviously, Castiel takes the backseat but that doesn’t mean he won’t lead the charge on the case. Time for a game plan! Dean is taking this recent case rather seriously. 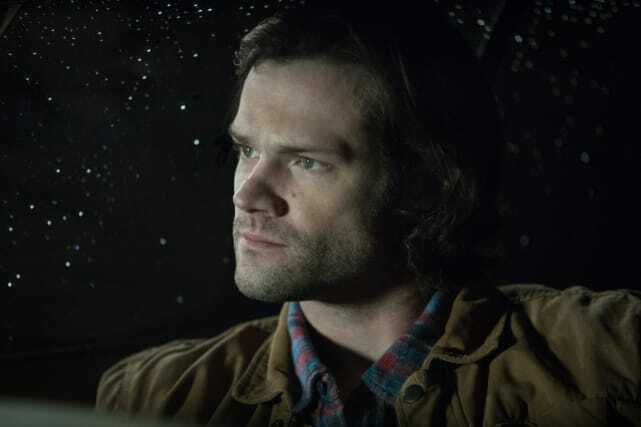 The headlights from another car illuminate the elder Winchester’s face, and he’s all ready to take down the supernatural. What else would you expect? It’s no surprise that Sam is pondering the team’s next move while staring out a rain-soaked window. But what is he thinking? And should he share with Dean and Castiel? 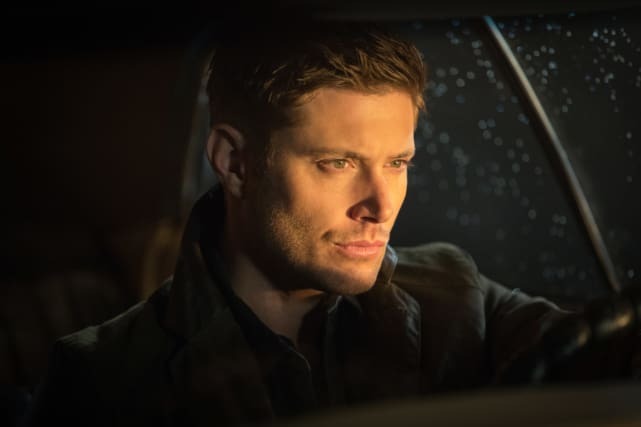 Supernatural Photo Preview: A New Hunter Joins the Team?